The Autumnal Hair Colour Update: Bringing Josh Wood home! 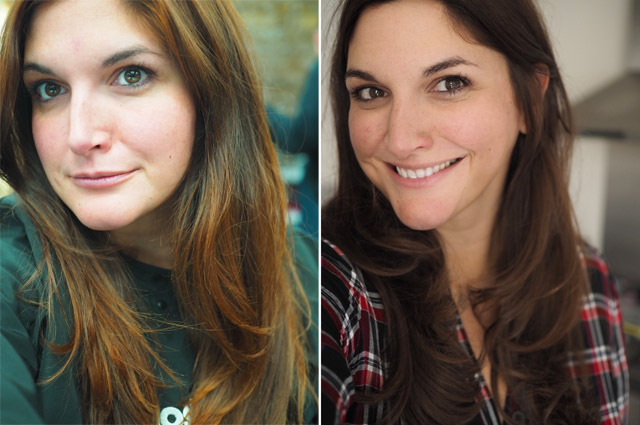 For six years now, my hair has been coloured by the super team over at Josh Wood, first by Josh Wood himself and then by the talented James Gould. I trust NO ONE else to touch my hair. This I say with great emphasis as the team saved me from the biggest hair disaster of my life just two years ago, when I decided to stray from the safe haven that is Josh Wood Atelier. Big Mistake. Huge. However, as fast as the mistake was made, it was then corrected and the rest is history. I've never looked elsewhere or thought of any other way to colour my hair...until now. Ok, Ok, let's not panic. I'm not leaving Josh Wood Atelier, I'm just bringing Josh Wood into my bathroom at home so that the salon doesn't have to see me every other month. 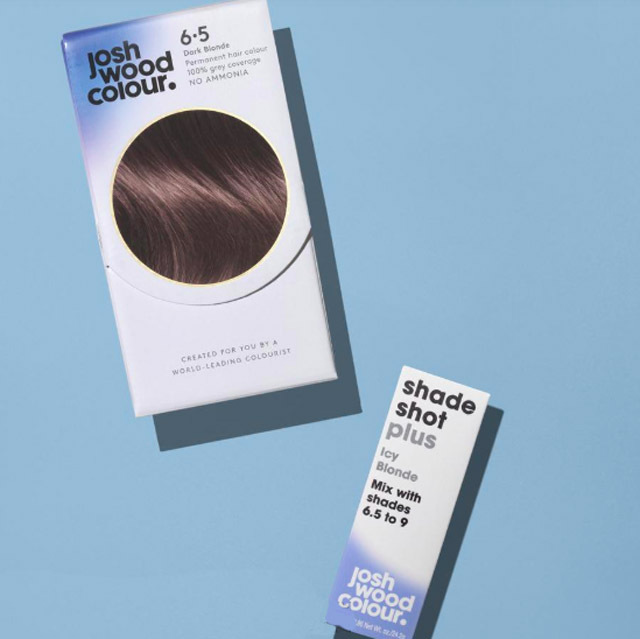 Only the Josh Wood Colour kits we know and love have seen a major change, and it's one of the most exciting developments in hair colour yet. Now, full disclosure here- I've never coloured my hair at home. I've never had to. 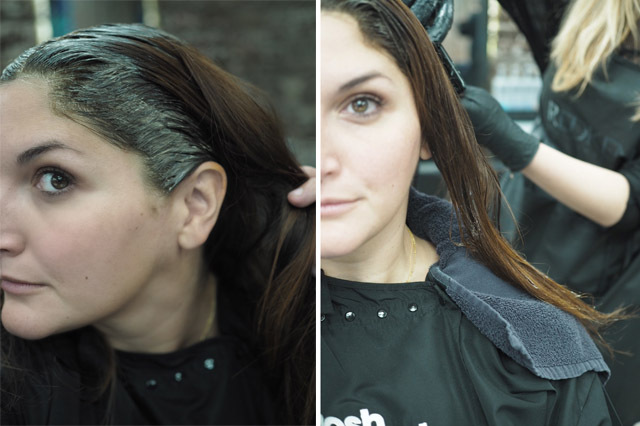 I have never before dealt with greys and I've mainly been going to see Josh to have highlights done, to keep my hair looking sun-kissed year round. However, as I'm now rarely in London, and also starting to see the occasional grey hair pop through (please God don't let any potential suitors read this), I needed to find a solution for when I found myself in a pinch. Basically, I need to embrace home colour. So, I bit the bullet and asked the gang at Josh Wood for guidance. It just so happened that I asked at just the right time as Josh was set to introduce the Shade Shot Plus. This is a total game changer for hair colour and the first of its kind ever to be released onto the shelf. You know that awful block helmet hair one gets when they are colouring to cover grey? Your hair just looks like someone pressed the mute button on the whole situation. It's terrible and I've heard women complain about this over and over again. As a result, I have had an actual fear of the day I'd have to walk the at home hair colour route. It was bound to come sooner rather than later, but now I've been given the tools to keep my hair looking salon fresh. Ok, that sounds a little too saleswoman-like. But really, guys, the proof is in the pudding. Now, if you're still a little freaked out about the whole idea of hair colour at home, my good friend Josh Wood is actually doing an Instagram Live tomorrow, Monday 12th November at 2pm. If you tag @joshwoodcolour in your stories, Josh will shade-match you right there and then and tell you the best products to use for your hair. Considering it's damn near impossible to get an appointment with Josh these days, this is the next best thing. Get in there and get involved. Oh, and let me know how you get on! I came home with two kits to get me through autumn winter and I couldn't be more excited at the idea of doing my colour whenever and wherever I need to (because I'm that girl that decides to do it in a New York hotel room at 2am).